This is part 1 of a series on why 90% of businesses don’t find buyers when they try to sell and what you can do in your company to be part of the 10% that actually exit rich. Which exit path are you on? Reason #1 – you didn’t know your company can’t be sold when you feel like it and for the big number you hope for. The Bad News? Most companies are unsaleable. The good news? You can do something about exiting rich if you start working on it now. But you have to come to terms with the facts. You want to think like Tom Cruise when he says to Jack Nicholson in a Few Good Men “I want the truth!”. If you can handle the truth this blog is for you. If you can’t handle the truth, don’t expect to exit rich. Tough but true words. Comment if you want to see the statistics on this or a question about the truth of your situation. 1. Start up – “Yahoo, we’re going to take on our competitor and show them how its really done”. 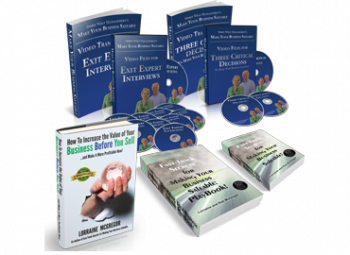 If you’re privately thinking about how to extract yourself or your wealth or your partners from your business, it’s time to learn what’s involved. It isn’t all about building a succession plan. Your first lesson in knowing the truth is recognizing that if you’re goal is to attract a buyer, you have to make your company what they want to buy. 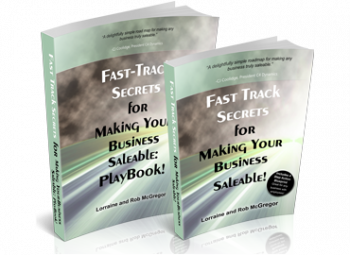 The secret to having a saleable company? Fixing the red flag an investor sees and adding the green lights they are searching for. Top red flag? 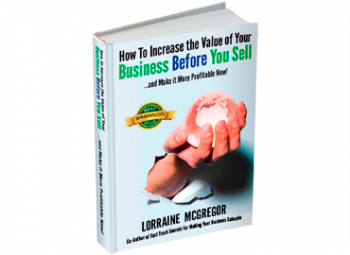 Profitability leaks like a growing credit line and fluctuating cash flow. This is why attempting to sell when you finally feel like it is a recipe for failure. By then its too late to fix the red flags and add the green lights. You have no time to become what a buyer is looking for. That’s reality. Can you handle giving yourself the time to guarantee you will exit rich? In part two of our series, we’ll handle the next step of reality: your motivations for exiting.